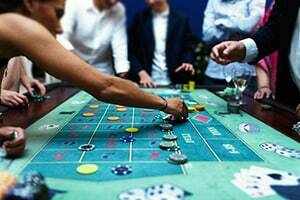 Magic City Casino is one of the most famous gambling and entertainment spots in South Florida. It has all it takes to attract people who entertain themselves by gambling. The casino hosts more than 800 slot machines and was the first one to introduce virtual Blackjack and live action Roulette, Craps, and Baccarat in South Florida. It features live poker rooms too, with 19 poker tables. Of course, food and drinks are just steps away from players, as in any other casino. Magic City Miami is also the home of the Flagler Dog Track, where greyhound races intended for betting take place regularly. The track is historical - it premiered more than 80 years ago and is still in constant use. The place features some entertainment events. Stand-up comedians and concerts are hosted in one indoor and two outdoor venues, to attract more visitors in Magic City in Miami. If you or someone close to you has been injured in Magic City Casino in Miami, chances are that the casino may owe you damages recovery. Under Florida premises liability laws, the owner of the premises where a visitor is invited owes duty of care to them. When the owner of the premises breaches this duty due to negligence or wrongful act, and that causes any damages, the owner may be legally responsible. In your case, Magic City Casino Miami may very well have to pay for all the expenses related to your accident, such as lost wages, medical bills and more. However, casinos usually prefer contesting injury claims over settling them justly, so representing yourself is usually not a wise decision. If you or your loved ones happen to be injured at Magic City Casino in Miami, make sure you call the best Miami personal injury lawyer you can find to help you claim damages recovery. At the Wolfson Law Firm, our Magic City Casino accident lawyers can assist you in your quest for compensation following your accident at Magic City Casino in Miami. Depending on the facts of your case, you may be entitled to money damages for loss of wages, medical bills, rehabilitation expenses, as well as pain and suffering. To find out more call us right now at (305) 285-1115 for your free consultation.